2018 Make Nine | Oh Sarah O ! If you follow me on Instagram or follow anyone who is a part of the knitting or sewing community, you've no doubt heard about the #2018MakeNine posts where craftsters post their intended makes for the new year. 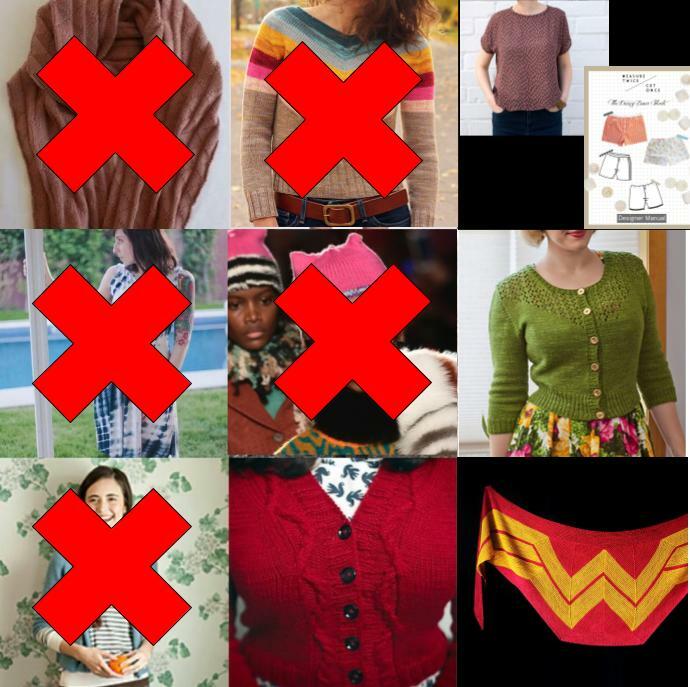 I made such a list in 2017 (see below) and had to re-think some of my intended makes later in the year and still only finished 5 out of 9 makes. I've been a fan of Andi Satterlund's vintage inspired patterns from the beginning and have all of her sweater patterns queued up on my Ravelry page. In 2017 I'd attempted the Salal cardigan as part of a knit-along but had to frog it when it started to get larger than I'd intended. I've also got an unfinished Marion cardigan in my UFO pile, yarn stashed to make a Chuck sweater and my eyes set on a purple Aiken sweater. Is it just me, or did it seem like everyone was making colorwork mittens for Christmas this year? Skeindeer knits Selbu mitten pattern really took off in 2017, and now that I've build up my knitting confidence I'm ready to take it on. Also in 2017 everyone seemed to be finding their fade and in 2018 I hope to find mine too! Stephen West is a very prolific knitwear designer and I've been seeing his patterns everywhere! I recently knit up his Drangey sweater pattern as a Christmas gift to my husband and I loved knitting it and can't wait to cast-on another of his patterns. 2017 seemed to be the year of the sock for many knitters and I've been stock-piling sock yarn ever since with intentions to participate in this year's Festive Sock-a-long hosted by Amy of Stranded Dyeworks. A few years back, I saw Victoria Newman on The Young and the Restless wear a long sleeved wrap dress and have wanted one ever since. This patterns seems simple enough for me being a beginner seamstress. Remember that time that I met Tilly of Tilly & the Buttons at the London Handmade Fair/ Great British Sewing Bee? I've been a fan of Tilly & the Buttons since the early days of her blog, but I have only made her hair scarf, which she helped me put together, at the fair. I've recently purchased her book, Love at First Stitch, and hope to sew up many Tilly patterns in 2018. Another 2017 knitting trend I was brioche knitting as seen in some of the shawls by Andrea Mowry, Stephen West and many patterns by Lavanya Patricella- whom I now have a girl crush on. So many people whipped up such cute Christmas sweaters at the end of 2017, that I decided I need one (or two or five) for Christmas 2018. 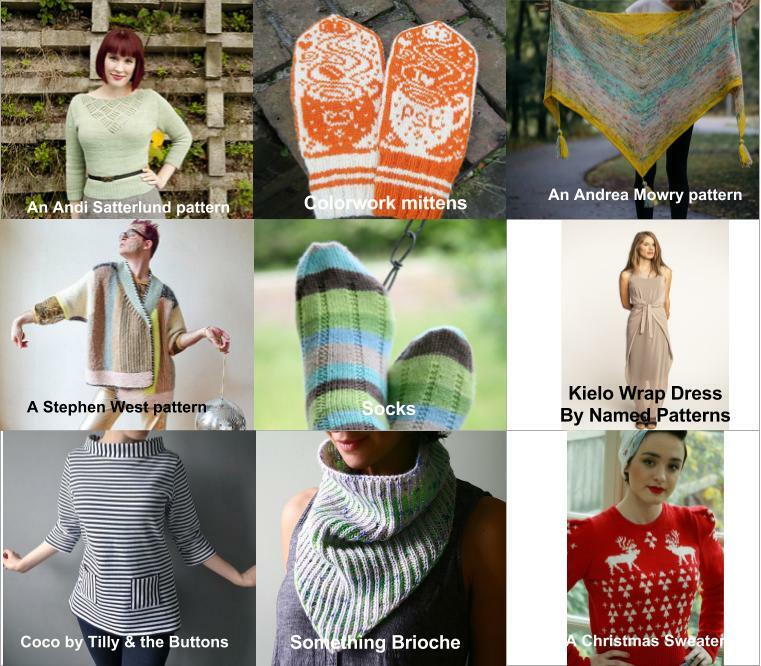 Some patterns I have my eye on are Andi Satturlund's Julgran and Susan Crawford's The Perfect Christmas Jumper. So, those are my making plans for 2018 which are subject to change, and I'll keep you updated as I go along. It's currently mid-January and I am still wrapping up a few items that I started at the end of 2017 and have yet to start any of my 2018 intended makes. If you are participating in the #2018MakeNine I would love to learn about what you're making and if you have any tips and tricks for a beginner seamstress please share them.